This project involved a complex collaboration of different fields of expertise, including stone fabrication, custom millwork and architectural finishes. A completely new kitchen and bathroom, along with newly finished floors, paint and selected trim work, were the focal points of this renovation. 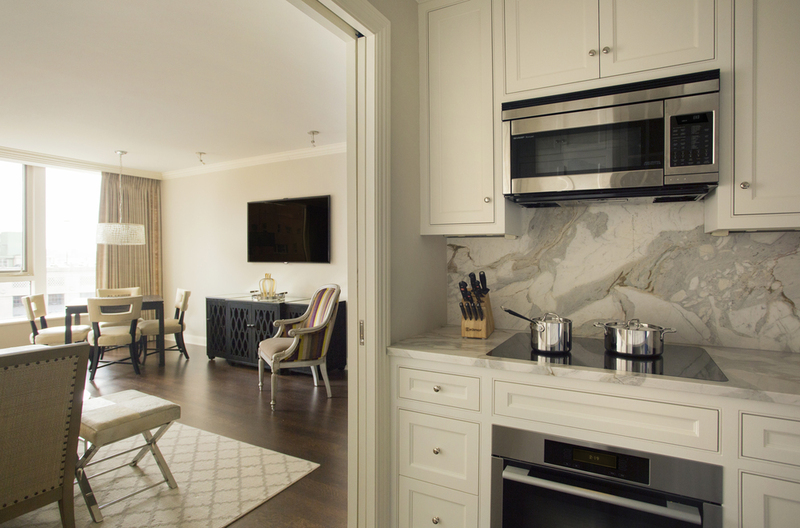 The dark stained quarter-sawn oak floors were chosen to provide a dynamic counterpoint to the soft white trim, millwork and custom cabinetry. 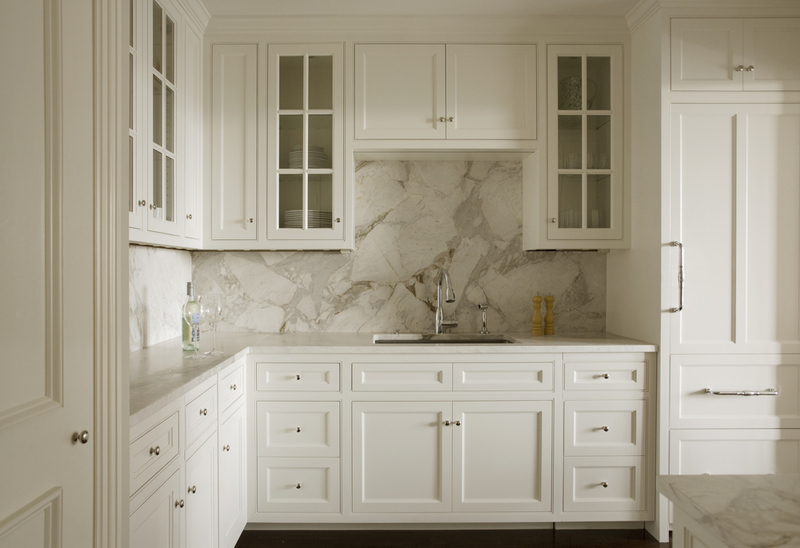 With the help of the homeowner's finishes, the result was a boutique-quality space that exudes understated luxury.